Despite recent news coverage, Oakland is a wonderful place to live and work. Even the New York Times says it is one of the top 5 places in the world to visit in 2012. Grand Avenue in particular is home to 2 of their recommended restaurants: Boot & Shoe, and Camino as well as 2 attractions: Grand Lake Theater and Morcom Rose Garden. As those of you who live in our neighborhood can attest, this barely scratches the surface of things to do and places to eat & shop. And as we can attest – the lively atmosphere of our city is a direct result of the vibrant folks who live & work here! 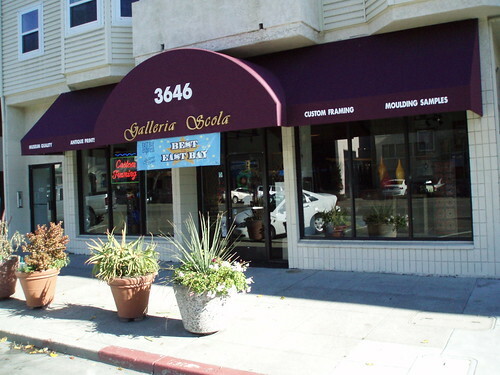 We at Galleria Scola know that all of you who shop in our store and all the other small businesses that thrive along our avenues do so because you want us to be here now and into the future. It is a conscious decision that we appreciate and it inspires us, in turn, to give back to our community. In the last few months, we have supported many great organizations: Mother Mary Ann Wright Foundation, Girl’s Inc., Beth Jacob Congregation, Corpus Christi School, Alzheimer’s Services of the East Bay, Clausen House, Children’s Fairyland, and First Place for Youth. Check out these causes and maybe you will feel moved to support them in whatever way you choose. 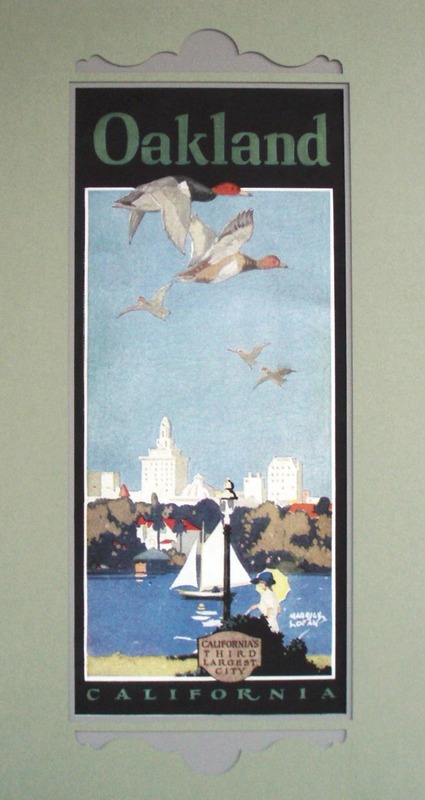 Another way to show your Oakland Pride is with a giclee print of a charming scene from Oakland’s history. 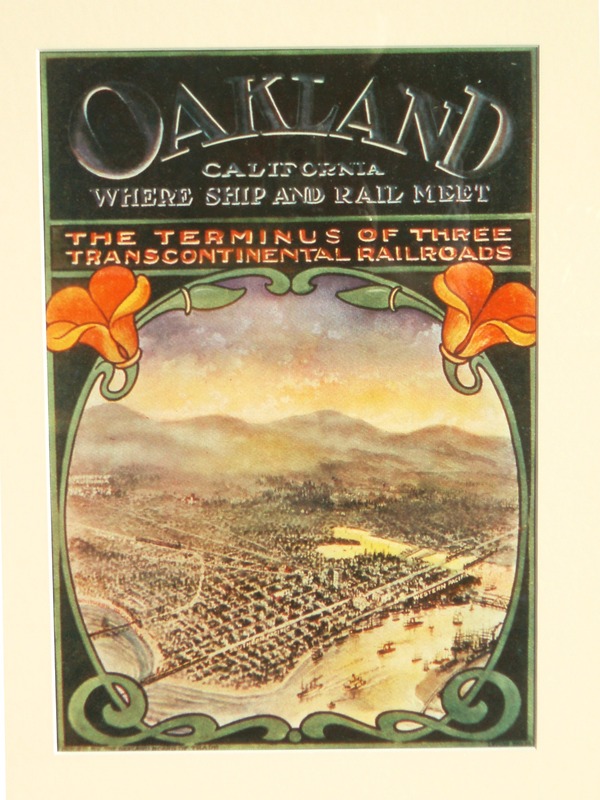 We have reproduced a few images found on vintage pamphlets advertising Oakland as an up-and-coming place to settle. They are printed on thick cotton rag paper using archival, pigmented inks, and so will last far into the future. Show your Oakland Pride – Oakland Rocks! This entry was posted on Thursday, February 9th, 2012 at 3:02 pm	and tagged with causes, charities, community, frame shop, Galleria Scola, Oakland, Prints, support and posted in Art, Oakland, Prints. You can follow any responses to this entry through the RSS 2.0 feed. Beautiful! What are the sizes? Thank you! The prints themselves are about 9 X 20, and the way we have them framed they are 14 X 27. The beauty of creating these ourselves is that we can print them at any size you’d like – bigger would still be nice, and smaller to go all in one frame would be a great look also!